Find the range of quadratic functions; examples and matched problems with their answers are located at the bottom of this page. The graph of any quadratic function, of the form f(x) = a x2 + b x + c, which can be written in vertex form as follows f(x) = a(x - h)2 + k , where h = - b / 2a and k = f(h) is either a parabola opening up, when a > 0, or a parabola opening down, when a < 0 (see graphs of several quadratic function below). Therefore if a > 0, the graph of f has a minimum point and if a < 0, the graph of f has a maximum point. Both minima or maxima are the vertices of the parabolas with coordinates (k , k) where h = - b / 2a and k = f(h). Fig1. 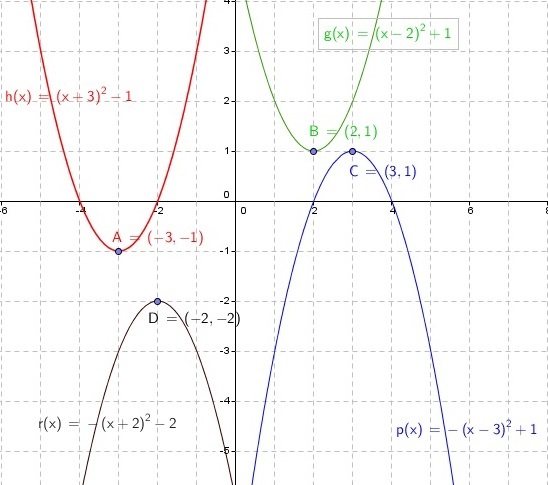 - Examples of Quadratic Functions with Minima and Maxima. Fig2. 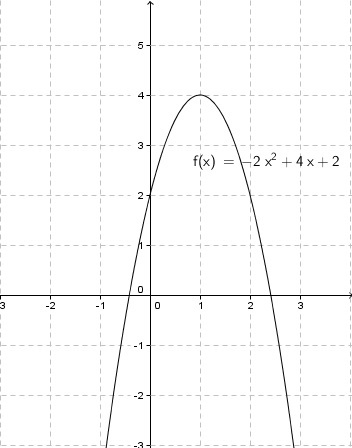 - Graph of Quadratic Function with Maximum. Fig2. 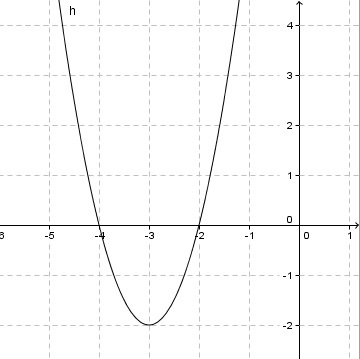 - Graph of Quadratic Function with Minimum. find the domain of a function and mathematics tutorials and problems.